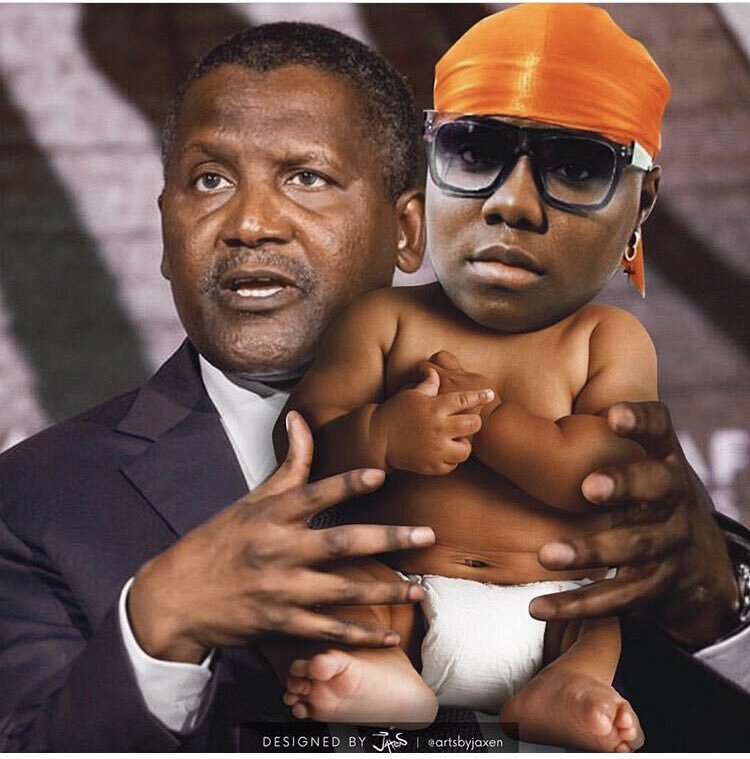 Singer Teniola Apata who recently changed her name Teniola Dangote at an event while performing her hit single 'Case' which Dangote was present shares her photoshopped as a baby with Dangote while she announces her song "Sugar Mummy" release date. Gistvic Reports. "You are cordially invited to the naming ceremony #SugarMummy dropping this Friday!"